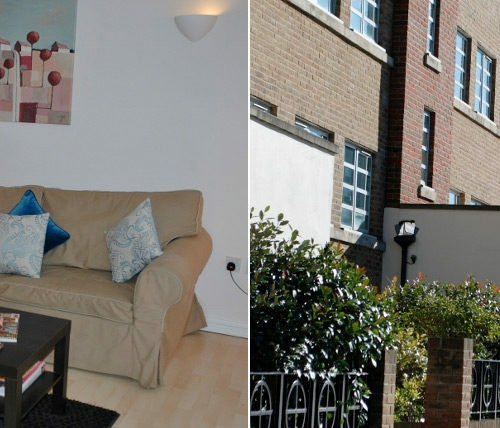 Situated in Northfield Avenue, West Ealing, this lovely bright and contemporary two bedroom/two bathroom apartment is on the ground floor of a modern complex of 30 apartments set in attractive landscaped communal gardens to the front and rear. The Art Deco architecture of the area is reflected by the interesting horizontally banded window patterns and two-tone brickwork of this building. Derwent Yard is perfectly located for easy access to all of London’s attractions as Northfields underground station is on the doorstep, making it just seven stops to Heathrow Airport in one direction and seven stops to South Kensington in the other. Ealing Broadway with its many shops and restaurants is just a short walk through the park or a five minute bus ride away. There is an excellent range of shopping in the local area for fresh fruit and vegetables, butchers and bakery items. A variety of restaurants, wine bars and pubs can be found within easy walking distance. The apartment, which is decorated throughout in soft pastel shades, consists of a spacious sitting and dining room with matching sofa and armchair, large dining table with six chairs and a new 32″ flat screen TV with multi-channels and radio stations. 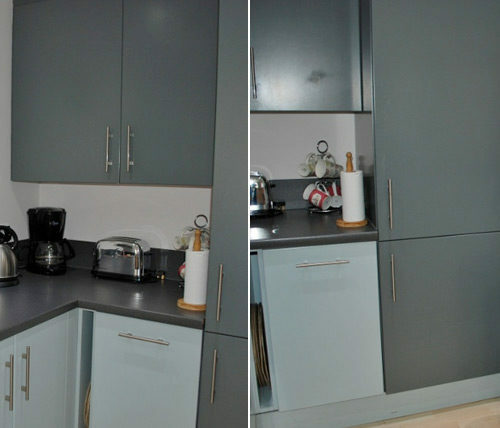 Just off the dining area is the very well equipped and modern kitchen offering all the appliances you would expect to find in a first class apartment. 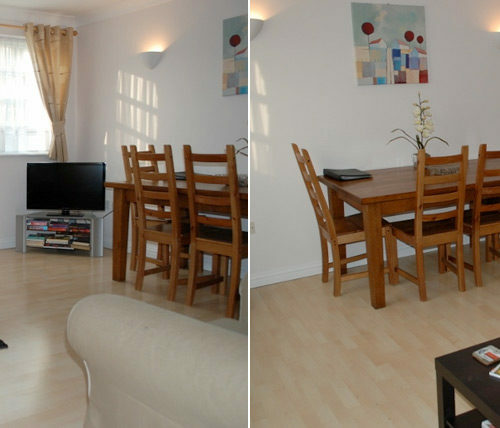 Both bedrooms are spacious and quiet as they overlook the gardens at the back of the property. 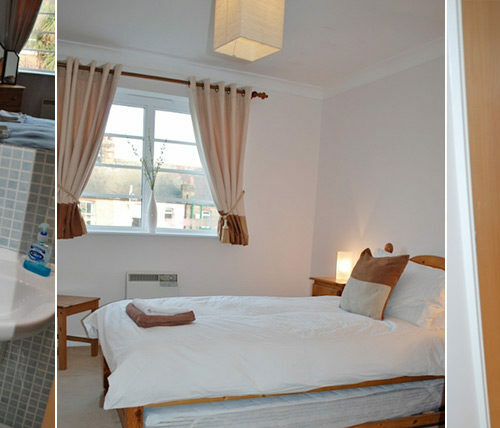 The master bedroom has a very comfortable king size bed and the second bedroom has twin trundle beds. For single occupancy the bottom bed slides under the top bed giving additional space. Both bedrooms have ample closet and drawer space. 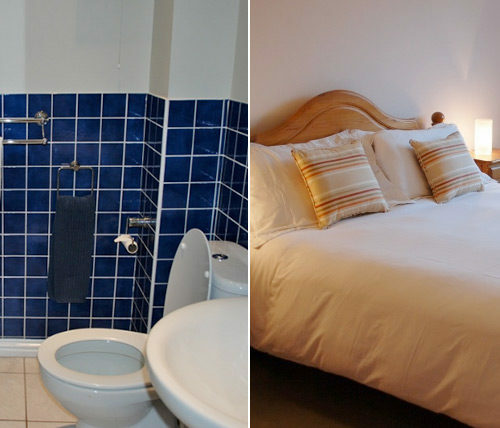 En-suite bathroom has a good size shower unit, WC and sink and the main bathroom located off the hallway has both bathtub and overhead shower. Prices include all utilities, wireless internet access and a secure car parking space but exclude a £65.00 end of stay cleaning charge. 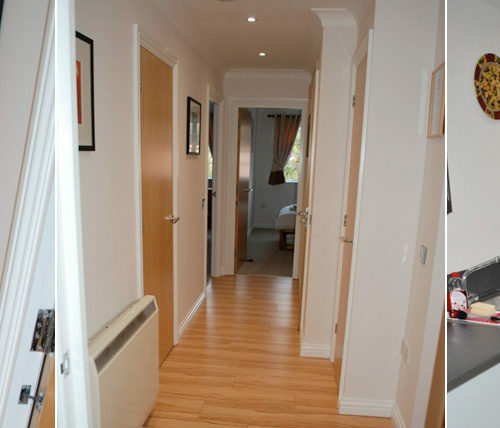 A weekly cleaning service can be arranged at £60.00. Telephone calls are extra and will be charged at 10 pence per unit. This is a non-smoking apartment. 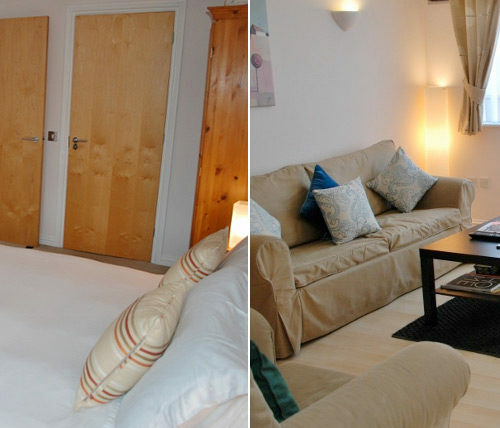 Double sofabed in reception area can be used to accommodate one adult or 2 children at an additional charge of £20.00 per person per night.